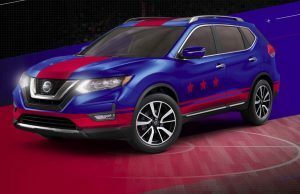 Enter for to win a 2019 Rogue SL wrapped in school colors and $5,000 cash! One (1) NCAA SWAG PACK (Hat, T-shirt and Sweatshirt- Winner’s choice of school). ARV: $130.